What’s So Special About Solid Wood Furniture? Comments Off on What’s So Special About Solid Wood Furniture? History bears witness to the appeal of solid wood furniture. The great cultures of antiquity — from the Chinese to the Greeks — used wood as a valuable resource in their furniture and utensils. So What’s So Special About Solid Wood Furniture? Here are two reasons solid wood has been the material of choice for fine furniture throughout history. This Gentlemen’s Chest is a great example of solid wood furniture. The popularity of veneered furniture proves a major point. Wood boasts a natural attraction. So it’s widely imitated. Yet, wood is impossible to replicate with synthetic alternatives. In fact, the color, grain, density and scent of natural wood contribute to the unique beauty of natural wood furniture. Plus, these features ensure that each wood piece is one-of-a-kind. With proper care, wood lasts a long time. And wood also holds its beauty for the long haul. Oak and cherry are two of the most common choices for furniture. And both wood species resist heat, cold, moisture and force. So they’re perfect for furniture that will be used heavily in the home. Today, with the advent of study, cheap synthetic materials, many question the role of wood in the creation of home furnishings. But synthetic materials will remain a less-favorable alternative to the beauty and durability of solid wood furniture. 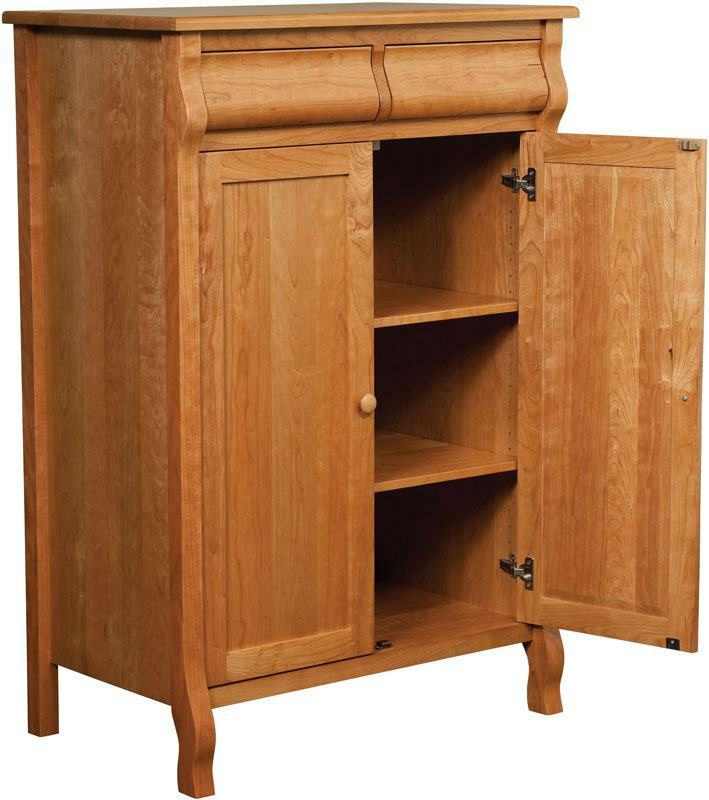 To view a large selection of solid wood furniture, visit Brandenberry Amish Furniture. Or visit our ‘brick and mortar’ store in picturesque Shipshewana, Indiana. And explore solid wood furniture firsthand.